Do y’all get tired of us talking about the weather? We start out with that because it is the first thing we check in the mornings because it effects what we will do for the day. This morning was 30 degrees, not too cold but still below freezing. However, it didn’t seem quite so cold this morning because we had bright sunshine. Love it!! We did some more work around the house this morning. We pulled some additional food items from the pantry to move to FRED. 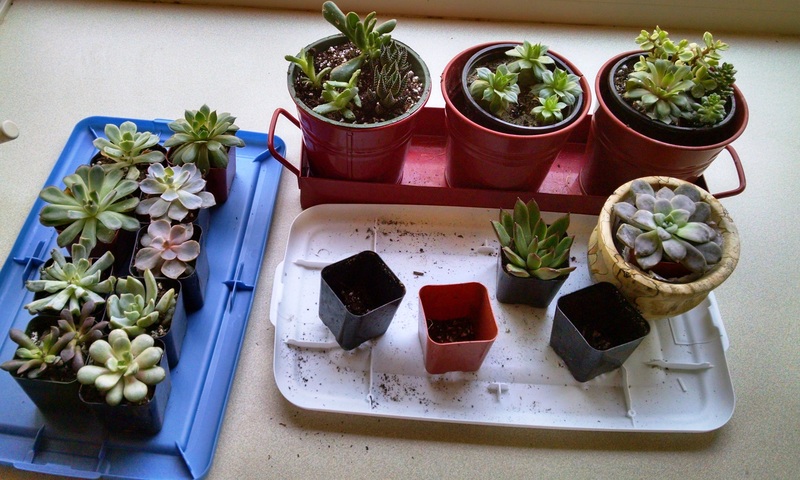 We also re-potted some of our succulents to get them ready for the trip south. Some we will have to leave for Juno to oversee for a few weeks.